Miami Photo Fest is pleased to team up with Daylight Books who will be presenting one of their latest release by John A. Chakeres. The artist will be on hand for an intimate presentation, to answer questions, sign and dedicate their published works. 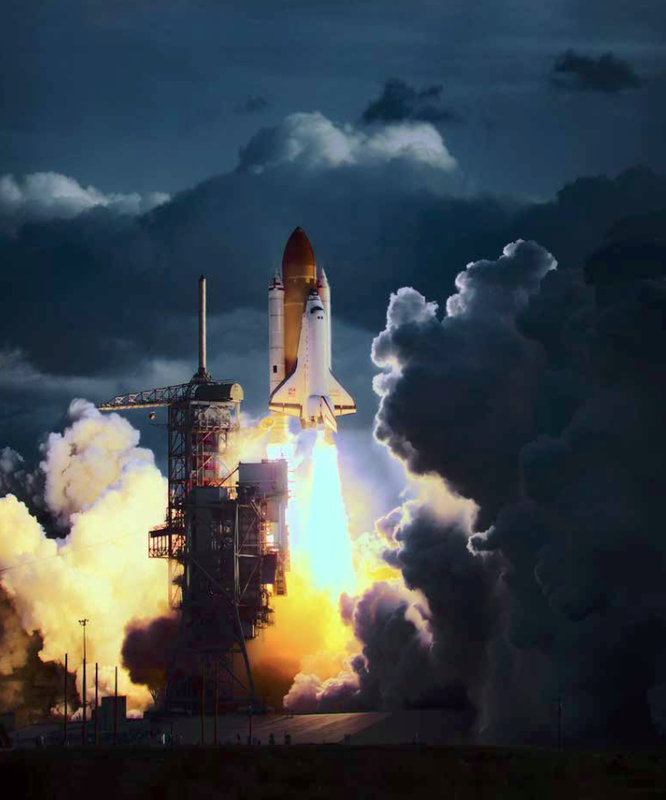 The images in First Fleet are a never-before-seen look at the sensational launch and landing operations of the space shuttles. In addition the photographs Chakeres managed to capture represent a technical achievement as the photographer invented a special remote trigger device in order to properly capture the action from a safe distance. John A. Chakeres has been an artist working in photography more then 40 years. He has published three books of his photographs, Traces: An Investigation in Reason, 1977, D’art Objects: A Collaboration. 1978, and Random New York: An Unscripted Walk, 2008. His photographs have been included in numinous exhibitions and publications and are in a number of permanent collections including the Museum of Modern Art, New York, NY, Bibliothèque Nationale de France, Paris, FR, Museum of Contemporary Photography, Chicago, IL, Southeast Museum of Photography, Daytona Beach, FL, Monterey Museum of Art, Monterey, CA and Tweed Museum of Art, Duluth, MN. He has taught photography, printmaking, and digital imaging at Ohio University, Columbus College of Art and Design, and Columbus State Community College. Subscribe to receive details on John A. Chakeres and his 2018 and 2019 Workshops and Events.